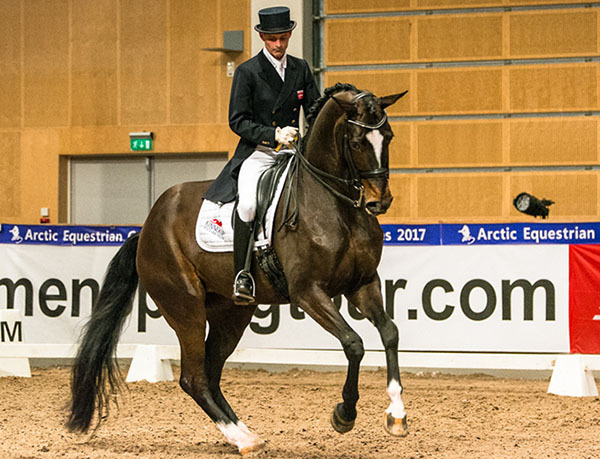 VESTFOLD, Norway, Feb. 22, 2017–Denmark’s Nikolai Kowalski and Gevelts Donna Tella posted personal best scores to win both the CDI3* Grand Prix and the Grand Prix Special at the Arctic Equestrian Games. Nikolai and the 14-year-old Danish Warmblood mare 69.300 per cent to win the Grand Prix and 67.843 per cent take the Special. 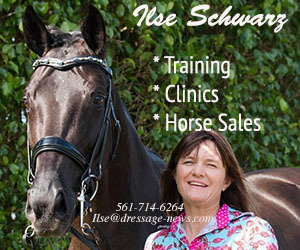 Fellow Dane Karin Nissen on Eno won the Grand Prix Freestyle on a score of 70.350 per cent.